West Virginia just got that much closer to legalizing sports betting. The House Finance Committee discussed S415 for the first time in a recent legislative session. The bill is an ambitious venture that puts the state Lottery Commission in charge of regulating the proposed sports betting market. S415 has made its way through the Senate already and house already, so all it needs is the governor’s signature. 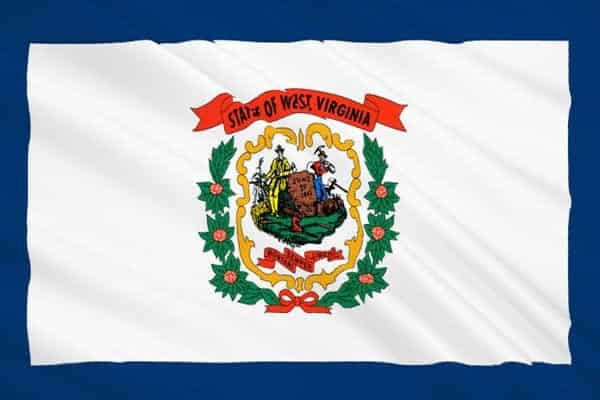 Senator Ryan Ferns introduced the bill in late January, so things have progressed fairly quickly in the Mountaineer State. S415 will let the state’s 5 gambling facilities to begin offering sports betting options. WV residents would be able to bet on both pro and collegiate sports, which will not sit well with the NCAA. There would be mobile and online betting capabilities in addition to the brick-and-mortar options. The gaming facilities would need to pay a $100,000 licensing fee and be subjected to a 10% tax on revenue. The bill was poured over by the Finance Committee, but Paul Barnette, the lottery’s chief accountant, was there to elaborate on the specifics. The state expects there to be $1 billion in wagers in the first year, which Barnette broke down for the committee. If $1 billion is wagered in the first year, $950 million would be returned to winning bettors and $50 million is retained by the sportsbooks—this is a 5% hold retained by the state regulated sportsbooks. From there, the operator would keep 90%, or roughly $45 million. The state gets 10% ($5 million) deposited into a fund designated for sports wagering. That account with the 10% would be spread between 2 separate spots. $4.25 million (85%) goes back to the lottery for disbursement while the remaining 15% goes to cover administrative expenses. West Virginia is optimistic for the future. Barnette expects the industry to explode over the next few years if passed. Certain potential amendments were brought up, including omitting legal betting online and college prop bets, but these were brushed aside. In fact, lawmakers expect mobile wagering to make up the bulk of income. College sports are popular in West Virginia, particularly with the March Madness basketball tournament, so the state dismissed any notions of leaving out college betting. One particular aspect not mentioned was the integrity fees proposed by the NBA and MLB. These are a 1% tax on state sports betting revenue that the major leagues feel justified in asking for. The fact that this wasn’t mentioned means that it could either be a last minute amendment sneaked in, or it could mean the state is denying the leagues’ request. Whichever the case, the bill needs to be officially signed to become law. US federal gambling laws regarding sports betting are on the brink of being repealed. This will be the catapult for WV’s legislation. Whether or not the state decides to include the leagues’ integrity fees in their legislation remains to be seen. Regardless, this is a major step towards widespread sports gambling legalization. It is possible that the bill is vetoed by the governor. This would likely happen due to the MLB and NBA tampering with the decision. However, if this does happen, the Senate and House majorities can override the veto.